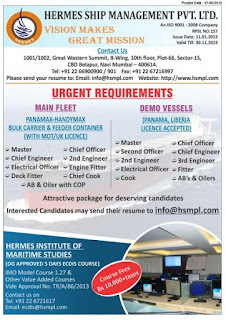 SEAMAN JOBS INFO - Available seaman jobs vacancy for Indian seafarer join with Hermes Ship Management PVT.LTD. Work at bulk carrier ship, container ship and more. 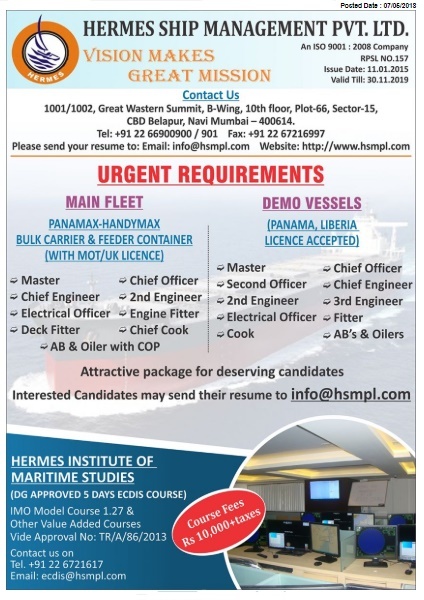 Attractive package for deserving candidates. You can subscribe to get updated jobs at sea. 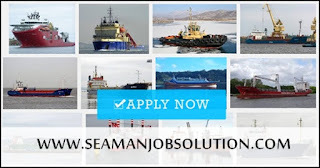 0 Response to "Seaman job for all rank join on bulk carrier, container, cargo ships"